There was not a sound in the air, save perhaps a slight lapping of waves. The sky shone bright blue, the ocean sparkled like a thousand diamonds, the sand was white and smooth beneath my feet. I held a coconut in my hand; a local had chopped it down from a nearby tree for me, and it tasted more and more delicious with every sip. I looked to my left: nobody. I looked to my right: only my best friend in the distance, looking for seashells. This is the part of the story where the narrator usually says, "And then I woke up, realizing it was all a beautiful dream." Only this time, no matter how many times I pinched myself, I didn't wake up. I truly was in paradise. I had just finished three months of travel through Central America, and I was ready to tackle South America. As I try to avoid flying when I travel, my only real option to get from Panama to Colombia was to sail. Going by land is nearly impossible as Darien's Gap, the connecting land between the two countries, is currently run by guerrillas and has a horrible history of drug smuggling and kidnapping. 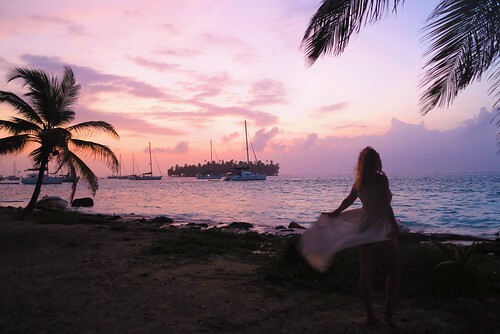 Luckily, there's an abundance of boats sailing the journey across the Caribbean, ranging from small sailboats to large catamarans. After much research, my best friend Kerri and I found a boat that fit our needs. We felt the high cost of the trip was well worth it, giving us what we were certain would be a once-in-a-lifetime experience. Our journey started in Panama City, where we were picked up early in the morning. After a few hours on the road and another hour in a small motorboat, we finally arrived at our 14-meter catamaran that we had booked through the company Sailing Koala. We quickly settled in and exchanged introductions with the ten fellow passengers and two crew; we were Colombian, Belgian, Italian, Irish, Australian, English, American, Cypriot, and Canadian. It was a dynamic group and I knew we would have fun. 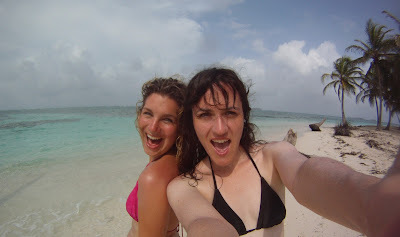 Our five-day journey would take us first around the San Blas islands of Panama, followed by two days at open sea. And though I could have never predicted it, the area turned out to be one of the most beautiful, most peaceful, and most isolated places I've ever visited. 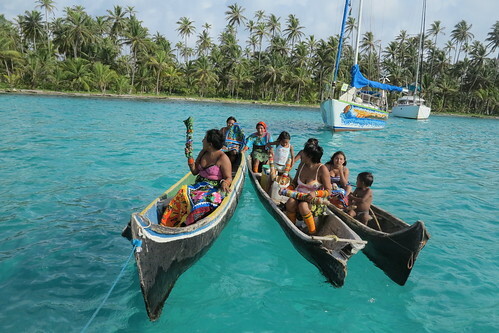 Inhabited by the Kuna people, there are hundreds of islands ranging in size and population, though most have only a few homes (if any) and many of the people rely on fishing and tourism. Boats would often approach our catamaran selling the catch of the day or handmade jewelry. Our three days spent in the islands were absolute heaven. 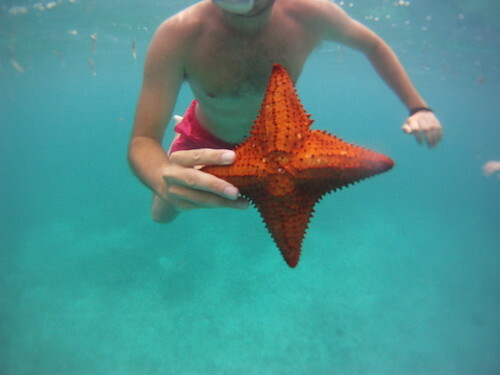 We would wake early to eat breakfast with the rising sun, then swim out to a sandbar to look for starfish and conch shells. Following lunch and a siesta on the deck of the boat, we'd swim to the islands, clutching soggy dollar bills and half-filled bottles of rum above our heads. There, on land, we'd buy beaded bracelets and coconuts, then sit on the beach whiling away the day like pirates, giddy from the rum and the sun and the laughter. 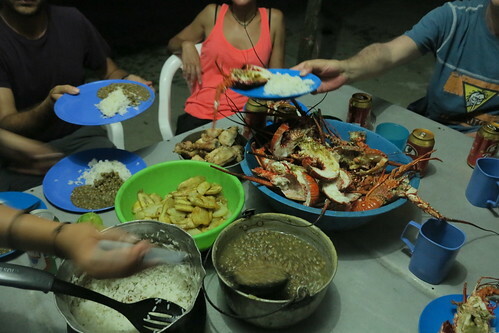 Dinner would be prepared by the Kuna people, and every night we dined on freshly-caught fish, octopus, and lobster. They were some of the happiest days of my life. But all good things must come to an end, and soon it was time to set sail to Cartagena. Battling 5-meter waves for two days left many people on board seasick; there was not much to do except sleep, read, and watch the horizon. The most exciting part of the two days was when I had to go on "night watch" - as the captain needed some rest, each of us was required to look after the boat for a few hours. I had to monitor the sails, the speed of the boat, and constantly look for lights in the distance. All of this was made even more exciting/terrifying by the fact that we were sailing through a small squall, leaving me alone with nothing but distant thunder, the creaking of the boat, and my own thudding heartbeat. It was scary, but amazing. When we finally pulled into the harbor five days later (accompanied by dolphins for part of the final stretch), all of us couldn't wait for a shower and a real toilet. Interestingly, though I hadn't felt sick while on the boat, I came down with a case of "land-sickness" and still felt the swaying and rocking of the ocean a full day after docking. All in all, it was an incredible journey, and I couldn't be happier with the service and with the experience. If you are ever in Central or South America, I highly recommend sailing from Panama to Colombia (or vice versa). It truly is an unforgettable adventure! 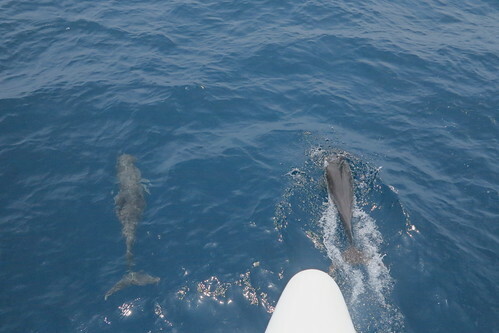 There are many reputable companies that offer sailing trips between Panama and Colombia, and most can be found online. The trouble can be finding a boat that matches your itinerary, so emailing a variety of companies is crucial. One way to book a trip is to contact Mamallena hostel in either Panama City or Colombia, as they will help you find a boat to fit your needs and your timeline. The average cost for the five-day trip is between 400 and 600 USD. The trip with Sailing Koala was 550 USD, but that included all transportation, accommodation and food, as well as other amenities such as snorkel equipment and knowledgeable guides/crew. Brenna Holeman of This Battered Suitcase is a guest contributor for Sole Sisters. She has been on the road since April of 2006, travelling through all of the continents but Antarctica. She is currently based in Central America, with plans to write and to study Spanish. She is eternally single, unemployed, and homeless, but happy and loving her life. Follow her gypsy life via facebook and twitter. 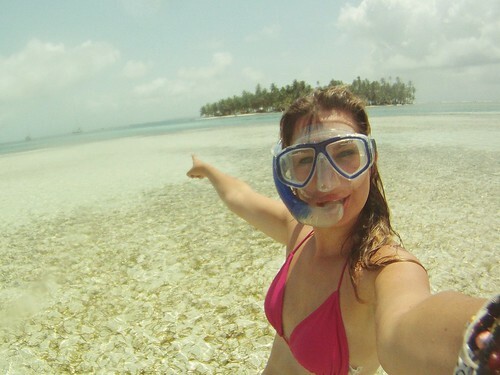 Hope you do it and share stories and photos from your trip Lindsey! This is def bucketlisted!